More service cuts to public transit may be coming to Silicon Valley. 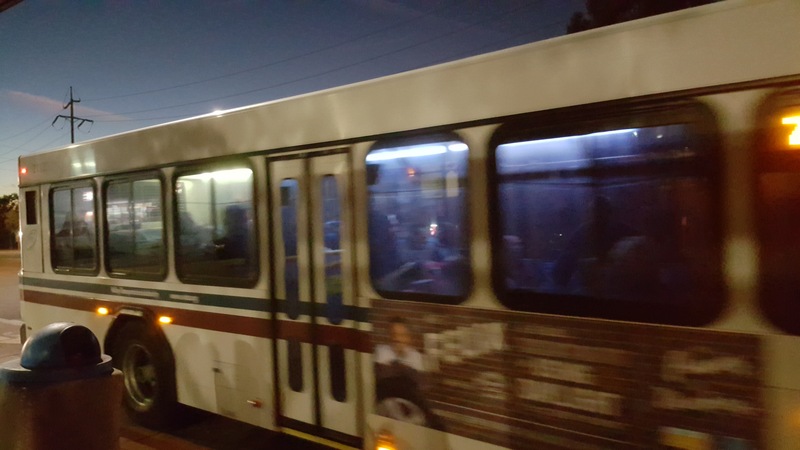 The Santa Clara Valley Transportation Authority (VTA) will discuss a proposal to further reduce bus and light rail service at its first Board Of Directors’ meeting of 2019 this Thursday at 5:30pm in San Jose. GETTING THERE: Take VTA Light Rail to the River Oaks station. VTA’s headquarters is on the west (airport) side of N. First Street, in the back of the Park and Ride lot. Tips for how to be heard at any VTA Board meeting or workshop can be mastered here. Our group has obtained details on what the VTA Board Of Directors will discuss at Thursday evening’s meeting. Details are below. On behalf of the Silicon Valley Transit Users, I want to wish everyone a Happy New Year. On Tuesday, all public transit agencies serving Silicon Valley like Santa Clara Valley Transportation Authority (VTA), Caltrain, and SamTrans will run a Sunday/Holiday schedule. All three transit agencies will have FREE service on the night of New Year’s Eve (about 8pm), until early morning on New Year’s Day (about 5am). This includes VTA, Caltrain, and SamTrans. Santa Clara County’s @VTA will be providing free rides throughout their systems beginning at 8 p.m. on New Year's Eve and extending through New Year's Day. Please make sure to take advantage of these FREE transit services on New Year’s Eve and New Year’s Day – especially if you have been drinking. To help you use public transit on New Year’s Eve – and any other time – read our new First Time Transit User guide. Have a safe and sane New Year! The Valley Transportation Authority (VTA) Board Chair will see some of his managers this week. San Jose Mayor Sam Liccardo – also VTA Board Chair this year – will be our guest at our group’s upcoming meeting this Thursday in San Jose. GETTING THERE: Many VTA bus lines like the 22, 522 Rapid, 72, 73 and Highway 17 Express stop near the Peace and Justice Center. There is limited bicycle and automobile parking behind the building, so it’s advisable to take public transit to and from the building. There is also wheelchair access behind the building. The first of the debates for Measure B took place on Monday. At the Santa Clara County Democratic Club at Harry’s Hofbrau in San Jose, both sides debated Measure B – VTA’s latest transportation sales tax proposal. Santa Clara County Supervisor and current VTA Board Chair Cindy Chavez debated the for side. Gladwyn D’Souza, San Carlos Belmont Group Chair at Sierra Club’s Loma Prieta Chapter, debated the against side. Who do YOU think won last night’s Measure B debate? Please comment below. Copyright © 2019 Silicon Valley Transit Users. All Rights Reserved. The Magazine Premium Theme by bavotasan.com.